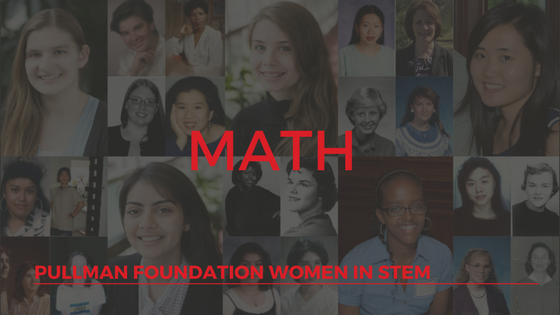 Today is the last day of Pullman Women in Math and our Pullman Foundation Women in STEM campaign. Thank you to everyone who shared their stories and resources for making this campaign possible. If you missed any of the posts, you can find links to each career field here. But for Math lovers, check out the following organizations for support and the latest information about your field. The Mathematical Association of America is the largest professional society that focuses on mathematics accessible at the undergraduate level. Their members are universities, colleges, and high school teachers; graduate and undergraduate students; pure and applied mathematicians; computer scientists; statisticians; and many others in academia, government, business, and industry. They support research, professional development (they provide resources), public policy, and industry appreciation. They have six categories of memberships and for college students it’s only $34 for the entire year! This organization supports math teachers, but it’s also a great resource for journals and research. They also have a membership for college students who are interested in going into math education. AWM represents a broad spectrum of the mathematical community from the United States and around the world; 3000 female and male members. It offers a mentor program, grants, scholarships, lectures, prizes and more. If you are a member of other notable Math organizations, please let us know so we can share them.